Have you ever wondered what makes some teams great and some, well, duds? So have I. I’ve been on teams that work really well together and are downright a blast to be a part of. I’ve been on others where I couldn’t wait to go home at the end of the day. For many people, it may be a mixture of both fun and frustrating. In working with a number of different teams, I’ve noticed a common thread among the ones who work really well together. There are certain characteristics that make these teams click. Lack of any of them, however, can cause any number of team dysfunctions. Fun teams work well together and have an atmosphere of trust and cooperation. If you’ve ever experienced working with people you don’t trust, you know how stifling that can be. And, it just takes one person to ruin an environment of trust. Collaboration is a by-product of a high-trust environment. You can see this in those with whom you work. You tend to work well with those you trust and avoid those you don’t. The partnerships you seek are with people you know you can trust – for obvious reasons. As you look at your team – how would you rate your level of collaboration? Teams and co-workers communicate all the time. But is it effective? Have you moved forward with a project, only to find out at the end, that you weren’t given all the critical details? When your team communicates effectively, it will increase productivity and significantly effect your bottom line, as well as overall team morale. People will feel more engaged and a critical part of the process. What is the level of effective communication within your team? The celebration usually centers around food, as well as the person we are celebrating. There is eating, laughing, conversation, eating, more laughing, sometimes singing, maybe a game or two (but not always), eating, frivolity, and did I mention eating? 🙂 Usually there is a theme, and it’s based on something that the person we’re celebrating likes. We do our best to not talk about work (for the most part we are very successful). It’s not time to check in on business, but it is time for a party. We have lots of fun and don’t worry about work. So, you may know these things already. The question then becomes, how do we make the above a reality? One of the best ways I know of to increase all of these is through a combination of icebreakers and team building activities. 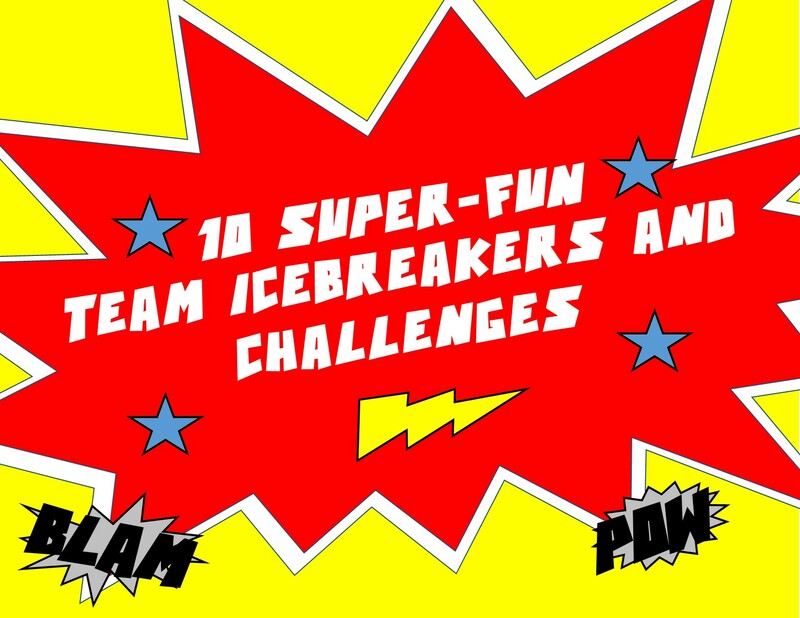 That’s why I wrote a brand new book of these kind of exercises called, 10 Super Fun Team Icebreakers and Challenges. In it, you’ll find 10 team building activities that have never been printed anywhere else. These are activities that I’ve spent the last few months creating and designing for teams just like yours. Whether you need better collaboration, communication, or you just want a day of celebration, these exercises will help your team, all based on the superhero theme. You can use these activities one at a time, or you can group them together for a Super-Fun team adventure. Or do a half-day event by picking and choosing a few of the challenges. You decide. Here’s a sneak peek at the book. Right now, you can order the book for only $10. It not only includes the activities, but also has suggestions for how to use the book, instructions for how to facilitate each activity, and also (my personal favorite) a “Deep Dive” section where you can take the activity further and dig into the challenges even more. “I really don’t want to share anymore,” one of my coworkers said. “Why not?” the facilitator demanded. “Because this isn’t the place,” she replied. At that point, Kara began to cry and walked off. Why did that turn out so badly? I’ll finish the story in a bit, but first let me share some of the other the top ten reasons why you may not be getting the desired results out of your team building activities. Reason 1: You never set any goals. Goals are important for most business activities and team building is no exception. For a team building program to be effective, you must start by setting goals. – What do you want the end result to be/look like? – What areas of your team do you want to focus on? Communication? Personality styles? Vision? Values? Leadership development? Conflict resolution? Problem solving? – What activities match your desired goals? All of these (and more) can be addressed, but you probably don’t want to focus on too many of these at a time. Take time to set goals and focus on results you want to see and watch your team capacity skyrocket! Reason 2: You never debriefed the activity. I’m a big proponent of processing challenges. There are numerous ways to do this. You can use standard questions, or you can use more creative debriefing solutions. The processing time doesn’t have to be long and drawn out, and it doesn’t have to be awkward. You can even use other activities or an experiential process to debrief the exercise. Whatever method you decide to use, though, just don’t skip this part of the activity. This is where a lot of a-ha moments can happen. Reason 3: You aren’t connecting the team building activities to real-world scenarios. These questions can help people bridge the gap between the activity and how to implement the same or similar strategies in the future. Reason 4: You are not following up. There is certainly a time where a stand-alone icebreaker or team building activity is called for. Most of the time, though, for your team to gain the optimal value from these programs, there needs to be follow-up. Mark Collard of Playmeo recommends monthly follow-up sessions for all of the organizations he works with. I think this is a fabulous idea. We tend to get busy and distracted. Following up with people, and seeing how things have gone, where they are, and what questions they have is one key to lasting change. Reason 5: You’re too serious. There is a time to be serious, but there is also a lot of fun to be had when doing team building exercises and programs. However, when we begin to expect people to do things the “right way” or are too intense, it can hamper creativity and problem solving. The great thing about team building activities is that every group will respond differently. Learning how to handle and adapt to each situation is one of the greatest traits of an effective facilitator. Reason 6: The activities aren’t challenging. Another reason your team building program may not be effective is using activities that never push people past their comfort zone. If everyone stays in their safety zone, then people aren’t challenged to the point where transformation can occur. There is a fine balance between stretching people and making them panic (see Reason #8); however, the team building exercises should be challenging. 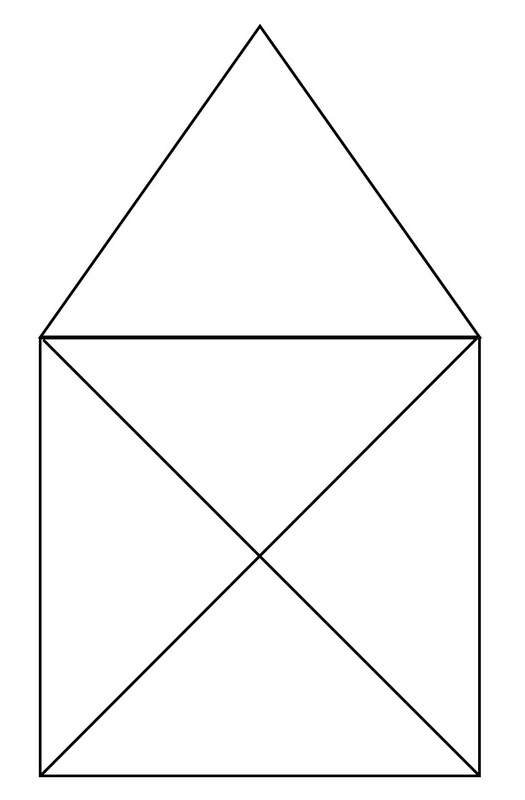 Making these too easy, or giving people the answers without really letting them struggle to find it could be a reason that you’re not seeing the effectiveness of these activities. Reason 7: You did not adequately prepare. Leading team building activities is more than just picking something that looks good or fun. There’s nothing wrong with having fun (see Reason 6 above); however, there is preparation that you will need to do before taking people through activities. You’ll want to set goals, determine what challenges you want to work on, and what activities will best fit the issues your team needs to navigate. Doing some prep work beforehand will make the challenges much more relevant and effective for your team. Reason 8: Your team building activities pushed people too far, too fast. In his book Serious Fun , Mark Collard talks about 3 different zones that people can experience during this experiential training process. There is the safety zone, the stretch zone, and the panic zone. There is a process by which people can be moved from the safety zone to the stretch zone (without reaching the panic zone) in a way that provides optimal engagement and transformation. If you try to push people too far in a short amount of time, then they will enter the panic zone and not be able to transfer what they are experiencing to real-world scenarios. They are too busy trying to get back to the point where they feel safe. Pushing people is fine, but there is a process to doing so. You can stretch people without pushing them into panic-mode. Reason 9: You did not prepare the group properly. I once experienced a team building effort as a participant where my boss basically sprung a series of trainings on us that were very personal and the facilitator was borderline intrusive. Many of our group resisted and were bitter about our director not letting us know what we were in for. That situation was what precipitated the events that I mentioned above. So how did the story end? My coworker eventually calmed down, came back and our team participated (most very hesitantly and with much resistance) in the activities that this lady had planned for us. There were several lessons I learned that day about facilitation that I vowed never to do. This was just one of them. People want a choice, but if you want something to be mandatory (which is fine), then prepare them ahead of time. A good facilitator will come to you with a plan and let you know (as much as possible) what can be expected. There will, no doubt, be some surprises during the activities: how people respond, who ends up with a great idea, the ways that people will interact and try to problem-solve. Make sure you communicate to your team what’s going to happen and what they can expect. You don’t have to give away the farm, but don’t expect them to respond favorably to an “impromptu team building day” that you had planned for a while. Reason 10: Your activities aren’t tied to a broader plan. Team building activities are great. They can be fun, challenging, and create a space where awesome things can happen. However, if they aren’t connected to more than just an event or training, then they just become fun exercises that will fade into people’s memories. To get the most out of them, tie these to a broader training plan that includes small group and one-on-one coaching, leadership development trainings, and the overall vision and values of your organization. While team building activities can be very effective, the lack of any one of these things could cause fewer positive outcomes than what you, as the leader, want. Include all of these things and see if your teams don’t experience greater results. Disclosure: Some of the links above are affiliate links, and if you decide to make a purchase I will earn a commission at no additional cost to you. Please know that I have experience with all of these companies, and I recommend them not because of the small commissions I make if you decide to buy something but because they are helpful and useful. Please only spend money on these products if you feel you need them or that they will help you achieve your or your team’s goals. In my last post on Funny Teamwork Videos, I found a few videos that might lighten up a team meeting or be good examples of what NOT to do as team members along with a few debriefing questions after each one. Has your team ever hosted a webinar or conference call? See if you can relate to this video, and answer some questions afterward. 1.) Who do I identify with in this video? 2.) What issues does this video address that we need to address? 3.) What are some solutions for the issues discovered? You know that guy? In that meeting? Yes, that’s the one I’m talking about. Which of these personality styles are you in a meeting? 4.) What ways can our meetings be improved? 5.) How can different personalities work together to improve meeting times? Like or not, email is a part of every day work life. It doesn’t have to be painful, and it can be very productive. Look for issues that you can relate to and figure out how those issues could be addressed productively. 1.) What do I identify with in this video? 4.) How can we improve our email processes? Every had one of those way-uncomfortable team building experiences where it seems like only the facilitator is having a good time? (Maybe at your expense?) Here’s a fun video to get you to think about the team building experience. 1.) Share a funny team building story. 2.) What can you relate to in this video? 3.) How can we improve our team building experiences to make them more enjoyable and more effective? Where does your team hit roadblocks when you try to come up with solutions? Is it the same obstacle every time? Or are there multiple roadblocks? What alternative solutions can you come up with to help solve these dilemmas? 1.) What issues can we relate with on this video? 2.) What challenges do we have as a team when collaborating? 3.) How can we improve collaboration and make everyone feel a part? Hope you enjoyed these videos as much as I enjoyed compiling them for you. I would love to hear how you used them with your team and what solutions you came up with to improved certain processes. What was your favorite video and why? Which one will you use for a teachable moment with your team? Let me know in the comments below. Several of these can be done with a limited budget and many of these can be tweaked or combined to create an all-out superstar event that your people will talk about for years to come. Make your employees feel like stars. Surprise them with a red carpet experience that they won’t soon forget. Rent a large red carpet and have your employees enter work in style. Encourage a “dress-up day” citing some important people arriving that day. In addition to the red carpet, have some volunteers who are clamoring to take their picture with these VIP’s. Who doesn’t like attention like that? Add a limo to have your team take pictures in before going in to work. Or, as they arrive, let them take a ride around the block in the limo and have some paparazzi (see below) waiting for them when they come back. You can pair this with another event listed here, or do it on its own. Surprise your employees at work one morning with a line of paparazzi waiting for them to enter the building. Imagine your team walking in with people shouting their name and taking massive amounts of pictures of them as they arrive, making them feel like Golden Globe or Oscar nominees. Once a year or once a quarter (depending on your budget), take your star employees out for a nice lunch and transport them there via a limo. How will you choose which ones go? Have a contest (sales, production, etc.) and set criteria to qualify. Everyone who qualifies gets to go. Variation: Want to pair this with a way to increase customer service? Combine the qualification process with those who receive a certain number of compliments, customer service awards/points, or positive customer experience evaluations. It’s time for some serious fun and some serious planning. Combine all of the above events to create an awards nights for your crew. This will take a lot of leg work and advanced planning, but what better way to honor your employees? Hand out awards as part of the night. Be creative. Hand out serious awards, plus some fun ones. Get a team together to help brainstorm and plan the night. Plan an after-work party to thank your employees. Hire someone to cater food and drinks. Bring in a DJ for some after-work foot-stomping fun. Variation: Go to an off-site venue, such as a lake house, hotel, or other hot spot in the area. Host an awards night where members of your team vote on different categories of awards to give out at a party dedicated to honoring the best and brightest among your crew. Have a crazy awards night – brainstorm some creative ideas on awards to give out and make it a fun, creative event. Honor your employees by hosting a premier movie event. Announce that they will be experiencing a one-of-a-kind movie premier as a way of thanking them. What you don’t tell them is that they are the stars in this movie premier. Hire a videographer to take some covert shots of your crew performing at their best. Have an editor compile it into a movie-premiere styled video and show it off at a local theater. Variation: Combine this event with the After Party idea and/ or limo rides (above) to make it a special night that will “wow” your team. What other ways can you think of to thank your people “red-carpet” style? Which one sounds most do-able for you? Well, today is the first official day of the launch of my eBook, 4 Steps to Choosing the Best Team Building Activities. It’s been an interesting journey. I’ve learned a lot not only about the eBook process, but also about stepping out in the midst of fear. You wouldn’t think that writing and publishing a relatively brief eBook would be that big of a deal. It’s taken a while for me to complete the book, not necessarily because of the content, but because of the doubts and fears that seem to pause me in my journey along the way. I want to encourage anyone who is thinking of writing (whatever form that takes) to begin and push through. Simply going through the process has been worth it for me. Regardless of the outcome. The goal of the book is not to make a ton of money, but to get it out, to push past the fear and uncertainty, and to produce and release something that will help others, and that I can be proud of. The book is written for leaders and managers who want to know how to choose and implement the best team building activities for their group. Leading your team through an activity is not enough. There is a process to truly finding and facilitating effective team building. This book is for those leaders who want to get the most out of these kinds of exercises, and not only lead their team through them, but also transform their team in the process. By following the steps in this book, a facilitator can learn the process by which teams are not only improved but changed for the better. First, this book will teach you first about the different types of team building activities. In order to lead these kinds of activities effectively, it helps to first understand the differences between group initiatives vs. low ropes courses elements and several other distinctive activities. 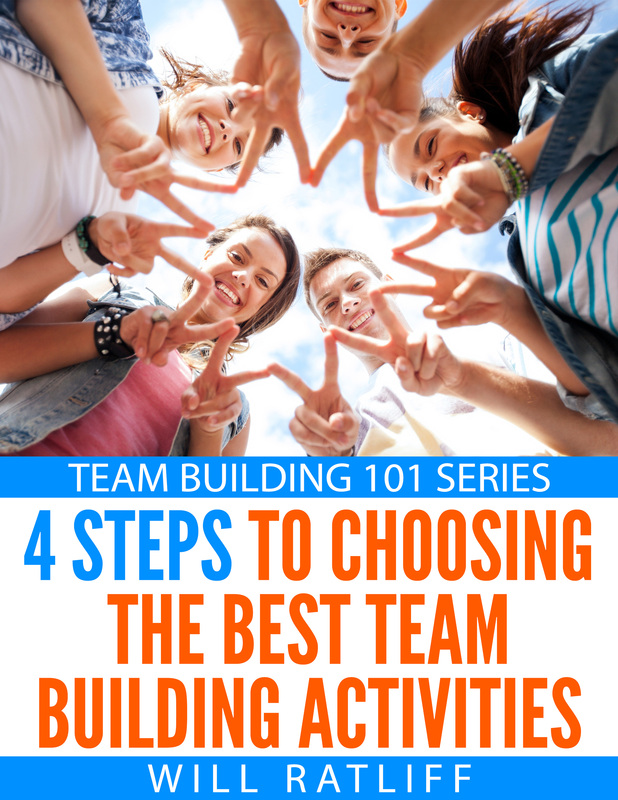 It then lays out a simple 4-step process for choosing the best team building activities. It’s not complicated, although it does require the facilitator to be intentional about each step in this strategy. It is the exact process I use when working with teams and facilitators. How to select the right exercises to boost team productivity, trust, communication, and more! Achieve your team’s goals and objectives. There are a number of team building resources on the web, but there are only a few really excellent ones. 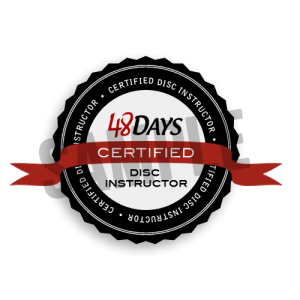 My goal with this site and the books and resources that I develop is to create high-quality resources and training for those who want to learn how to facilitate and lead only the most effective team building activities. This is the first of those resources. I hope you enjoy the book and learn a lot! What did you think of the book? Leave your comments below. What Makes Team Building Activities Effective? There are words and phrases that get watered-down, misused, and ultimately can get a bad reputation. Team building is one of those, especially when people discuss team building activities. Now, just about everything is labelled as team building as long as it’s done with a group of people. Thoughts of trust falls gone wrong, “paintballing the boss”, and other horror stories abound. For those of us who have worked in the industry, it is painful to hear about and read about these stories. The first step even before choosing these activities (or a company to run them) should be to sit down with your team and set goals for the day. What do you want to accomplish? What issues is your team facing? What changes do you want to see in your team following these activities? These questions need to be answered as well as looking at what activities will best fit your goals and needs. If you are not sure, hire someone who is. There are some great facilitators and organizations that I could recommend to you. Legitimate Team Building Exercises are Purpose-Driven. There is a purpose behind each and every effective team building activity, whether it is an icebreaker, a group challenge or initiative, or a ropes course element. Look at your goals and what purpose will drive each activity. Could “having fun” be a purpose? Sure. But, hopefully it’s not the only one. There are numerous purposes that can be obtained from each activity. Focus on the ones that your team needs the most. Top-notch Team Building Activities are Results-Focused. No leader or manager wants to go through a half-day or day-long event and feel like time has been wasted and nothing has been achieved. Top-notch team building companies will focus on results during the day, but also be able to achieve longer-lasting results. Some facilitators require follow-up sessions as part of their team building packages. Why? Part of it is for sustainability. These coaching sessions can help sustain the work that was done during a day or two and keep teams accountable to maintaining results. Powerful Team Building Activities are Situation-Specific. What other characteristics define an effective team building program? What have you observed in programs in which you’ve participated?